We invite you to browse through our online punk store and shop with confidence. Create an account with us if you like, or shop as a guest. Either way, your shopping cart will be active until you leave the store. Headline Records is a store as well - On those categories: CD's , Vinyls, DVD's, Books and Collectibles, what you see online is what WE HAVE IN STOCK AT THE STORE. Of course, we have TONS of Tshirts (some of them we need to do special order), buttons, patches, belts, studs and spikes etc .. Please feel free to add some alternative items in the comment section (last page - in the checkout area) n case of a sold out item in your order.. The Best store in Los Angeles .. and on the web !!! OVER 2000 pins IN STOCK !!! 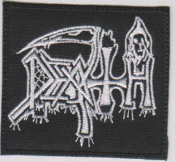 OVER 900 Patches IN STOCK !!! 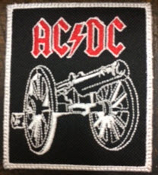 OVER 400 Back Patch IN STOCK !!! OVER 800 Stickers IN STOCK !!! OVER 200 Posters IN STOCK !!! Thank you for visiting Headline Records website & Thank you for YOUR SUPPORT.